Ghosthack has announced the release of Black Friday Producer Bundle, a special edition bundle featuring a complete collection of samples, loops, MIDI’s, presets, vocals and tutorials. Dive into a colorful sound bundle made by over 15 musicians! This soundbank includes only unreleased and fresh sound resources for you. We spent thousands of euros into stellar vocals from male and female singers, session musicians for sitar, brass, guitar, piano and percussion instruments, one-shots, loops, MIDI’s and presets from all our sound designers and video tutorials for an easy workflow. 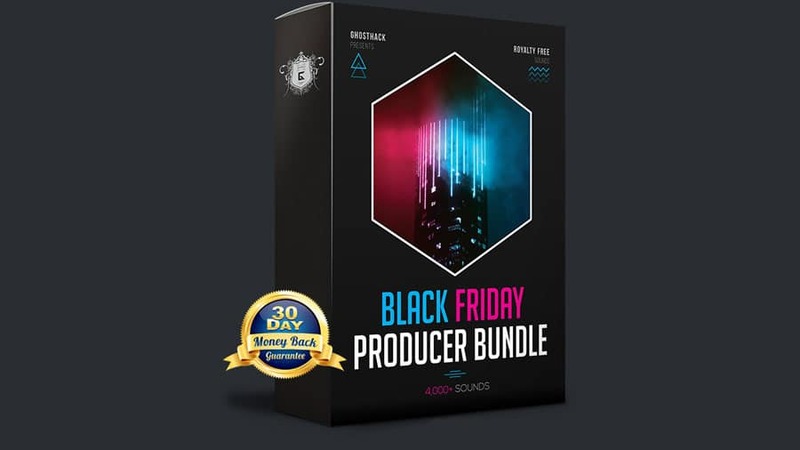 Black Friday Producer Bundle contains key labeled male and female vocals, including full acapella tracks, ad-libs, phrases, one-words, and melodic vocal loops. There are added tons of samples, Serum presets, WAV loops and MIDI loops with a BPM range that goes from 70 to 172BPM. Expect 808’s, cymbals, acid shots, foleys, synth sounds, atmospheric pads, hi-hats, kicks, percussions, sound fx, snares, drum fills, rolls and complete loops with stems, drones, shakers, textures and many more. These sounds cover Dubstep, Hip Hop, Trap, House, Drum and Bass, Downtempo, EDM and many other popular genres – you will definitely find the right sound. Ghosthack hired a couple of session musicians to bring you some serious live sounds. Expect oriental sitar one-shots and loops, brass, piano and acoustic guitar loops and a collection of astonishing ethnic percussions. There are also included some live recordings from snare drums and hi-hats, perfect to create your own unique drums with some further processing. FL Studio producers will appreciate the video tutorials that complement this bundle. You’ll learn how to create a dubstep and a trap drop from scratch completely. More info and download at Ghosthack Black Friday Producer Bundle.